Hey, everyone! Today I’m recapping the books I’ve read so far in 2015! At the end of each year, Jamie @ The Perpetual Page-Turner assembles a ginormous list of questions about the previous twelve months of reading. I participated last year, so I thought… why not do it again this year, since I had so much fun doing this before?! P.S. You can find the original post on Jamie’s blog, with all the questions, right here. Best book I read in 2015? I’ve actually given eight books a five-star rating thus far in 2015, which is twice as many as I gave last year, so you’d THINK that it would be a little bit harder to pick my favorite. But it wasn’t! As soon as I saw this question, I knew it would have to be Fun Home by Alison Bechdel. THIS SHOULD BE REQUIRED READING FOR THE ENTIRE HUMAN RACE. A book I was excited about and thought I would love more but didn’t? I read the entire Scott Pilgrim series by Bryan Lee O’Malley this summer, and… well, I loved the CONCEPT, but I hated Scott himself and couldn’t understand why O’Malley decided to make him the main character. Also, there was a ton of biphobia! I WANT RAMONA FLOWERS TO BE THE PROTAGONIST TBH. I mean, making Scott defeat her seven evil exes for her just doesn’t even make any sense. Most surprising book I read in 2015? Book I pushed the most people to read in 2015? Best series I started in 2015? 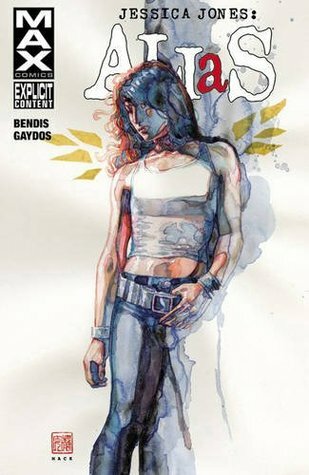 I started the Alias comics by Brian Michael Bendis in order to prepare myself for watching Jessica Jones on Netflix. Volume four is the only one I have left, and it’s all about the Purple Man! I read Fairest by Marissa Meyer… FINALLY! Oh my gosh, it was so good! Sooooo good. The Dying of the Light by Derek Landy DID NOT DISAPPOINT. It was hilarious, heartbreaking, and filled with plot twists that I never saw coming. Favorite new author I discovered in 2015? Alison Bechdel! I will definitely read more of her work in 2016. I read Carrie, Stephen King’s first novel, earlier this year. In fairness, I picked it up because I’d previously read and enjoyed Misery, but horror just isn’t a genre I read much from. I really love the Saga graphic novels by Brian K. Vaughan! They’re kind of like a cross between Star Wars and Game of Thrones? A book I read in 2015 that I am most likely to reread next year? 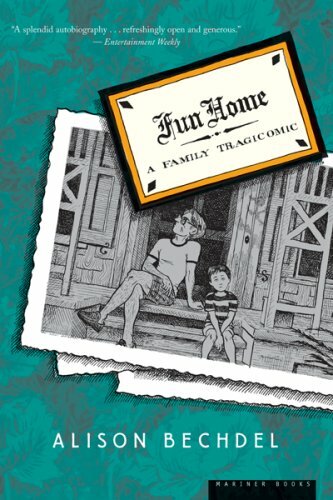 Fun Home, definitely! OHHHH MY GOD ALL OF THE FEELS. I rarely reread books all the way – preferring to skip around and read just my favorite parts instead – but this is one that I can actually see myself rereading all the way through. OH MY GOD, NIMONA. (From Nimona by Noelle Stevenson.) She kind of reminded me of the characters from Skulduggery Pleasant? SHE’S SO COMPLEX AND SURPRISING. I LOVE HER. Black Widow, Vol. 1: The Finely Woven Thread by Nathan Edmondson may seem like an unlikely choice, but I thought Natasha’s inner monologue was AMAZINGLY beautiful. Most thought-provoking/life-changing book of 2015? Bad Feminist? Fun Home? BOTH. BOTH IS GOOD. A book I can’t believe I waited until 2015 to FINALLY read? I’m really surprised I waited until 2015 to read Roxane Gay’s Bad Feminist, honestly. It received a ton of (well-deserved!) hype last year, but for some reason I didn’t get around to it in 2014. Favorite quote from a book I read in 2015? Shortest book I read in 2015? Not counting the stuff I picked up on Free Comic Book Day, that would be… This Day in June by Gayle E. Pitman, at 32 pages. WHY YES I READ PICTURE BOOKS. THEY ARE THE BEST. Longest book I read in 2015? 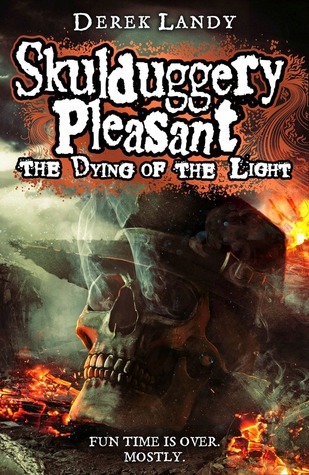 The Dying of the Light by Derek Landy clocked in at 605 pages… AND EVERY BIT OF IT WAS AWESOME. A book that shocked me the most? The Dying of the Light, Nimona, and Daredevil: Father by Joe Quesada. THAT PLOT TWIST. WOW. OH MY GOD OH MY GOD. Carol & Therese from The Price of Salt by Patricia Highsmith! They’ve basically eclipsed all my other favorite fictional pairings from this year because… vintage lesbians, people. VINTAGE. LESBIANS. I love love LOVE the friendship between Amber and Milo in Demon Road! Derek Landy is amazingly good at writing friendship, especially about people who have a large age gap between them. You don’t often find that in fiction, particularly in YA. Favorite book I read in 2015 from an author I’ve read previously? I was ridiculously excited for The Sword of Summer by Rick Riordan, and it didn’t let me down in the slightest! AHHH HIS BOOKS ARE JUST SO MUCH FUN. Best book I read in 2015 that I read based SOLELY on peer pressure/a recommendation from somebody else? Newest fictional crush from a book I read in 2015? 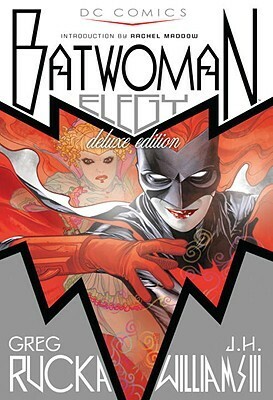 Kate Kane AKA Batwoman from the comics by Greg Rucka! SHE’S SO BADASS AND GORGEOUS AND AMAZING AHHHH I LOVE HER SO MUCH. Best 2015 debut I read? 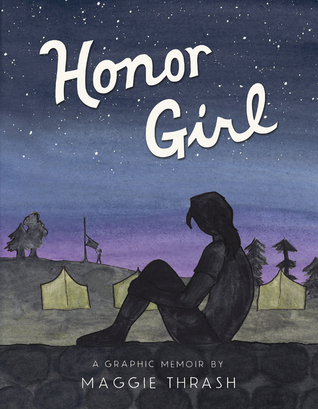 I adored Honor Girl, a graphic novel memoir by Maggie Thrash, and I can’t wait to see what she writes (and draws!) next! UGH I RELATED TO HER SO SO STRONGLY. Best worldbuilding/most vivid setting in a book I read this year? Ooh! That’s a tie between Nimona and Demon Road. Both of them feature creepy fantastical worlds (and kickass female characters!). A book that put a smile on my face/was the most FUN to read? I read George by Alex Gino on a day when I felt stressed and icky and just generally… horrible. I read it instead of doing my homework and that was definitely an A+ decision because OHHHH MY GOSH, YOU GUYS, IT’S SOOOOO CUUUUTE. A book that made me cry or nearly cry in 2015? Many of the tales in Twelve Doctors, Twelve Stories – a Doctor Who anthology – made me tear up. SO MANY FEELS ABOUT SO MANY DOCTORS. A book that crushed my soul? I know I’ve probably said The Dying of the Light too many times already, but it’s truuuuue. I’m still not sure what crushed my soul more: The events of the book, or knowing that the series is now over and there won’t be any new books. Most unique book I read in 2015? The Dying of the Light had some really inventive use of language and formatting… I can’t tell you any more because it’ll ruin the surprise, but IT WAS AWESOME. A book that made me mad? I’m always apprehensive about LGBTQ+ books written by straight people, because… well, yes, they are trying, but I often feel that many of them don’t try very hard. Simon vs. the Homo Sapiens Agenda by Becky Albertalli is an example of this. IT DIDN’T EVEN FEEL LIKE A BOOK WRITTEN FOR ACTUAL QUEER PEOPLE. It felt like it was written as Straight Ally Wish Fulfillment, to make them feel good about themselves for being open-minded. It was soooooooo unrealistic and there were even a few lesbophobic passages? Ew. New favorite book blog I discovered in 2015? I adore Bookish Serendipity! It’s basically #goals. OH MY GOD GO CHECK OUT JESSICA’S BLOG. RIGHT NOW. Her posts are always so creative, and I love her bookish photography! Favorite review that I wrote in 2015? Probably the one I wrote for The Sword of Summer! Best discussion/non-review post I had on my blog? I loved writing A Theory: The Better The Graphic Novel, The Longer It Takes To Read! BASICALLY I LOVE WRITING LONG THINKY POSTS. ESPECIALLY IF THEY ARE ABOUT LONG THINKY BOOKS. Best event that I participated in (author signings, festivals, virtual events, memes, et cetera)? 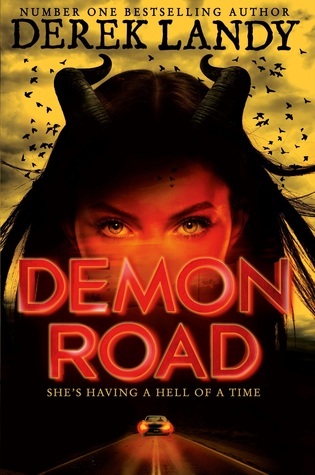 I didn’t go to any author signings – I’ve never been to one, actually – but I did order a signed copy of Demon Road… and it arrived on my birthday! SO THAT WAS AWESOME. THAT TOTALLY MADE MY DAY. Reading Fun Home and Honor Girl back-to-back and crying because I related to both of those books more strongly than to anything else I read this year? It was pretty amazing to read two five-star books in a row, too; that hardly EVER happens because my five-star ratings are so rare. Most thought-provoking review or discussion I read on somebody else’s blog? I loved 10 Types of Characters I Love to the Moon and Back from Cait @ Paper Fury! I’m actually gonna steal her idea because it’s just that awesome. Most popular post on my blog this year? …I have no idea HOW or WHY, but it’s 82 Reasons I Enjoyed Cinderella. Um. OK then. A post I wish got a little more love? I wish my fangirlish post about the recent movie The Girl King had more comments! PLEASE FLAIL WITH ME IN THOSE COMMENTS. I NEED IT. Best bookish discovery (book related sites, book stores, et cetera)? I discovered the Haunted Bookshop and Prairie Lights Bookstore in Iowa City, IA! (Where my university is located.) I spend hours in there… studying, reading, befriending the cats. YESSSSS. YOU READ THAT CORRECTLY. THE HAUNTED BOOKSHOP HAS CATS. TWO OF THEM. DSAKGJHADKGHDKGHDS. Did I complete any reading challenges or goals that I had set for myself at the beginning of this year? Not yet, but I will! My Goodreads challenge is 100 books this year. “But Engie,” you cry. “You’ve only read 81 books and 2015 is practically over!” I WILL GET THERE. TRUST ME. I’ve done it before. I have a huge stack of graphic novels and comic books from the library and it’s really quite amazing how quickly I can fly through them. One book I didn’t get to in 2015 but will be my #1 priority in 2016? I borrowed Between the World and Me by Ta-Nehisi Coates from the library the other day with the intent of reading it sometime this week, but I doubt that’s going to happen. I’ll definitely read it in January, though! A non-debut book I am most anticipating for 2016? I can’t wait for Heartless, the first book in Marissa Meyer’s new series of Alice in Wonderland retellings! I CAN’T BELIEVE WE HAVE TO WAIT UNTIL FREAKING NOVEMBER, THOUGH. A 2016 debut I am anticipating? Enter Title Here by Rahul Kanakia has a diverse protagonist… AND it’s about writing! What more could I want?! A series ending/sequel I am most anticipating in 2016? 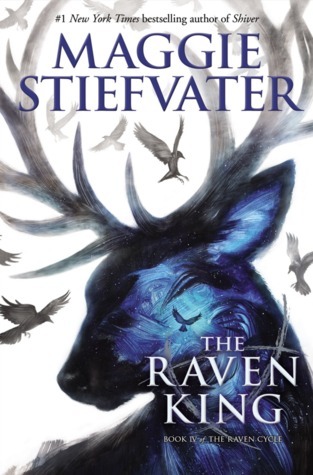 I am RIDICULOUSLY excited for The Raven King by Maggie Stiefvater… but also sad because I don’t want that series to come to an end! I joined the library’s wait list aaaaages ago – in fact, I joined it so early that I’m the first person on the list! YAY ME. One thing I hope to accomplish or do in my reading/blogging life in 2016? I want to catch up – and stay caught up – on my reviews! I’m always super behind and by the time I finally get around to writing a review for something, I’ve often forgotten so many details that I end up having to reread the entire book. And, well, I love books, but… that’s kind of a waste of time, isn’t it? I wouldn’t have this problem if my reviews were under control! A 2016 release I’ve already read and recommended to everyone? I haven’t read any… that I know of? I’m not an ARC kind of bookworm. Not yet, anyway. Maybe someday. How was YOUR year in terms of reading?! Be sure to let me know in the comments section below, and feel free to join in the link-up on your own blog! This entry was posted in Books and Reading!, Nevillegirl's Adventures!, Non-Neville Posts, Uncategorized and tagged books, my life, reading, teen, YA fiction. Bookmark the permalink. 14 Responses to 2015 End-Of-Year Book Survey! Hmm, I have a lot of thoughts, so I’m just going to make a list. Because lists. Y’know. -FIRST OF ALL OMG. 80 five stars? That is insaaaane. Talk about good reading years. I think I foudn some of my best reads this year as well. -YES MARISSA MEYER. I’m looking forward to her new books as well, and I’m still wondering how 2015 has ended but I still haven’t gotten to Fairest yet. -Yasss Engie you can do it. I HAVE FAITH THAT YOU WILL COMPLETE THE CHALLENGE. -How have I still not read Maggie Steifvater books? I feel like I’m missing out on a lot, almost everyone seems to have read something or the other by her. KDSJGHDKFHGSJDK MAGGIE STIEFVATER IS AMAZING AND I AM IN AWE OF HER TALENT. I am also ridiculously excited for The Raven King. I love all the comics in this post. I really want to read Elegy, but I’ve just started Captain Marvel, so one at a time! I read a lot of comic books this year. I too read and enjoyed Honor Girl. I’ve also read a ton of other comics–Ms. Marvel, Black Widow, Young Avengers, Nextwave, Hawkeye, Princess Leia, Lumberjanes… The list goes on. I honestly haven’t read a whole lot of books this year–particularly within this school year, though the few novels that I did read–the Night Vale novel, Winter, Blue Lily Lily Blue, Skulduggery Pleasant, and a couple others–were all quite good. I’m not super happy that I didn’t read a lot in the latter half of the year, but tbh the highlight of my year was getting to meet Emily Danforth and Malinda Lo and getting my books signed. I've never heard of Nextwave! What's it about? Ooh, I borrowed the first Princess Leia comic from the library but I haven't had a chance to read it yet! I'm still jealous that you got to meet them. 😛 That's so cool! THE RAVEN KING I need it! I did do this link up on my own blog as well. I really need to read George as well. Thanks for this awesome, fangirling post, and happy new year! Hey, so I was introduced to your blog in June (I think) by a friend, and I’ve been subscribed since then. My top book this year was actually The Miseducation of Cameron Post, which I heard of because of your high praise of it! My New Year’s do-this-thing (because I’m better at to-do lists than resolutions ok) is to comment more often on your blog (easy because this is the first time I’ve ever done so!) I heard about The Price of Salt via your blog, too, so when I went to the store the other day I picked it up. I haven’t had time to read it yet, though, as there are literal stacks of books I need to read all over my room. >-< I hope you have a nice New Year's! Ahhhh, thank you so much! The Miseducation of Cameron Post is actually my favorite book EVER. ❤ I'll have to take a look at your blog!